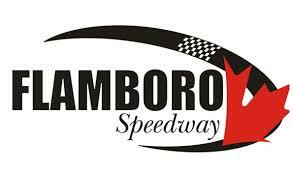 Spencer-Walt Motorsports started off the playoffs on a solid note, posting a top-five finish at Sunset Speedway’s Velocity 250 this past weekend. Rick Spencer-Walt was fast in Saturday’s qualifying, finishing fourth in his first heat, followed by a runner-up in the second qualifier. After starting on pole following the five-car invert, he grabbed the early lead and led until the second caution at Lap 24 for a stopped car in turn four. Restarting as the leader, he would lose the top spot to Gord Shepherd on Lap 28, and remained there until the third caution at Lap 40. The restart saw Spencer-Walt battle Shepherd once again, with Spencer-Walt ultimately falling back to fourth before the fourth caution came out on Lap 46. Restarting inside the top-five with 30 laps to go, he’d battle with Travis Hallyburton for third, but ultimately fell back in line in fourth on Lap 51, just as the sixth caution flew for another incident. Restarting fourth once again, he remained right close to the top-three as they battled amongst themselves for the top spot, until he was challenged for fourth by Nick Goetz on Lap 66. Goetz started out with a small bump to Spencer-Walt’s rear bumper, getting him sideways, but Spencer-Walt saved it and continued. Ultimately, Goetz completed the pass, taking the fourth spot with five laps to go. Spencer-Walt tried to challenge him back for fourth, while holding off the challengers behind him, crossing the finish line in fifth. For Spencer-Walt Motorsports, the team now has seven victories, 22 top-fives, and 25 top-10’s in 31 feature events this season, with Rick Spencer-Walt placing third in the track standings and ninth in the NASCAR Whelen All-American Series (NWAAS) points. The NWAAS puts Sunset’s drivers up against competitors from 60 different tracks across North America, with each driver earning points based on their finishes at NASCAR-sanctioned tracks. Notably, two of those victories came in invitationals, winning both the Spring Velocity and the Chase for the Colours. Now looking ahead to the Autumn Colours Classic, Rick Spencer-Walt will start the 75-lap feature on pole virtue of his Chase for the Colours win.